MILITARY-GRADE IMPACT PROTECTION: Altigos shock-absorbent, multi-layered case provides military-grade protection. With a tough polycarbonate outer shell and an inner lining made of shock-absorbent rubber, its like having two cases in one. 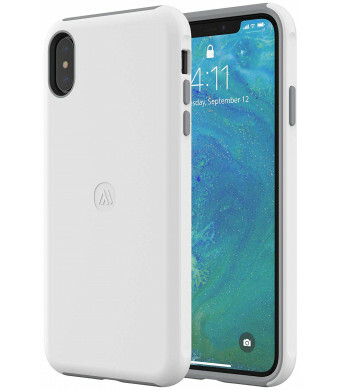 WIRELESS CHARGING COMPATIBLE: The Altigo shock-absorbent case is less than 3mm thick and it wont interfere with wireless charging, so theres no need to remove it to wirelessly charge your iPhone. TPE BUTTON COVERS: Flexible TPE button covers keep out dust and debris while maintaining the buttons functionality. Go Altigo - High quality, reliable products designed to never let life slow you down. 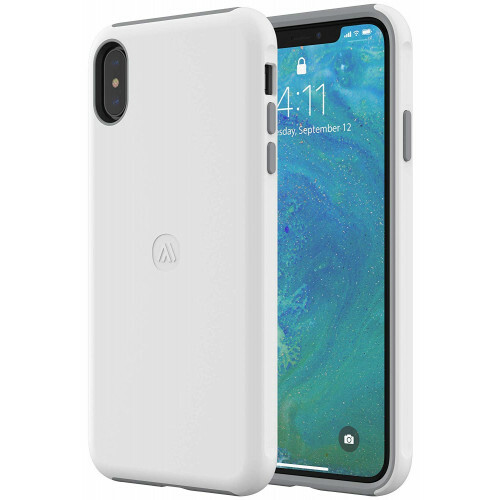 Altigo iPhone XS Max Shock Absorbent Case - White/Grey - Sleek and powerful protection for your iPhone. Military-grade Impact Protection - Made with a strong, clear acrylic back and a shock-absorbent bumper, the protective case meets military-grade standards. Reinforced Corners and Edges - Reinforced corners and edges fully wrap your device providing seamless protection for the most vulnerable parts. Compatible with Wireless Charging - Altigo protective cases don't interfere with wireless charging. Leave it on while you use your wireless charger for true untethered experience. Altigo Promise - Altigo warrants the iPhone XS Max Shock Absorbent Case against defects in materials and workmanship under normal use for a period of two (2) years, as applicable, from the date of retail purchase by the original end-user consumer. If you register your product at Altigo.com before the end of two-year period, you will receive a six (6) month extension on the coverage period.